Northern Ireland’s craft beer scene is expanding to mouth watering levels. There are now fifteen companies producing more varieties than ever before in our wee country. So with this in hand, accompanied by the fact that awards ceremonies are happening left, right and centre at this time of year, why not have a little bit of fun and select Northern Ireland’s best beers of 2014? Here we have the inaugural ‘Quare Swally Northern Ireland Beer Awards for 2014’. 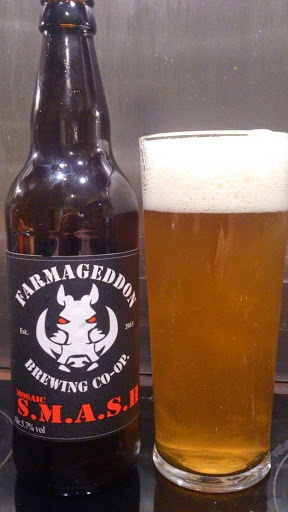 Many congratulations to all breweries mentioned here especially Farmageddon and Pokertree for not only being two of the best newcomers to the local scene but also producing two of the finest beers (in my humble opinion) of 2014. And with up to another seven new local breweries in the pipeline for 2015, there’s going to be even more competition this time next year. Bring it on. Nice! This list will look hilariously tiny and twee in a year or two's time but it's great to have the state of play at the end of 2014 recorded. Yeah, good list have missed out on the SMASH and I'd probably put the gold above the IPA. I wouldn't class hoppelhammer as red ale though! Cheers Steve, like I say it's 'in my humble opinion' I prefer the ipa 🙂 There's little red ale around so had to slightly merge categories. What would class Hopplehammer as?